The latest Really Reel Show with Amy Lee. 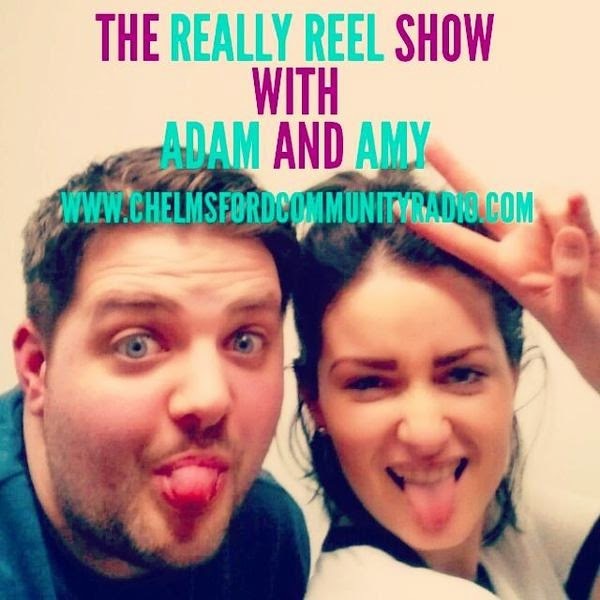 In this Episode of "The Really Reel Show" Adam sits down, once again, with Fresh Friday Presenter and TUESDAY CCR Drive Host Amy Lee! The Two discuss films she loves but her Boyfriend hates, Films she doesn't understand and Films she is looking forward to seeing. Aswell as The Really Reel News and The #Reelists ask her hard hitting questions. I LOVE recording with Amy! She is one of the best presenters on #CCR in my opinion and very talented, ambitious and eager to learn. She is also so cool and trendy that she makes me "fan girl" over her a little bit, which is a bit weird as we are good mates! Amy is always up for a laugh on The Really Reel Show and she makes it very very easy to record silly segments. The #Reelists portion is possibly the best one I have recorded and has given me more ideas where to push that in the future. That is what I love about #CCR! The creative and inspired work we all do and help each other.